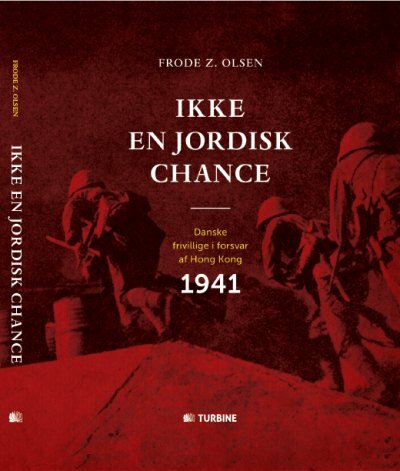 Alexis (Alec) Damsgaard, a tall Jutlander born in the small village of Bredsten, was Master of the 1,462 ton CS Store Nordiske (2), a submarine cable-repair ship of the Store Nordiskee Telegraf-Selskab in Hong Kong when the Japanese invaded. The Great Nordic Telegraph Company (GNTC) was headquartered at No. 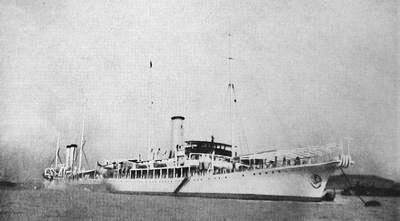 7 The Bund (today’s Bangkok Bank), Shanghei ) The GNTC had a fleet of Cable Ships maintaining the submarine cables in the South China Seas, Dutch East Indies, Singapore and Australia. 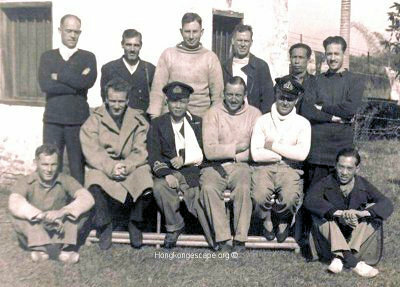 Alec, along with 2nd Engineer Harley & Sub-Lt JJ Forster were hit by machine-gun fire from the pillbox (12) on the south-west base of Brick Hill while crewing the launch of HMS Cornflower (II) taking Admiral Chan Chak and his party down Aberdeen Channel as the Colony succumbed to the overwhelming forces of the Imperial Japanese Army. Damsgaard was shot in the knee, Forster in the stomach. Those that could, leapt overboard and swam for their lives in a hail of machine-gun fire. 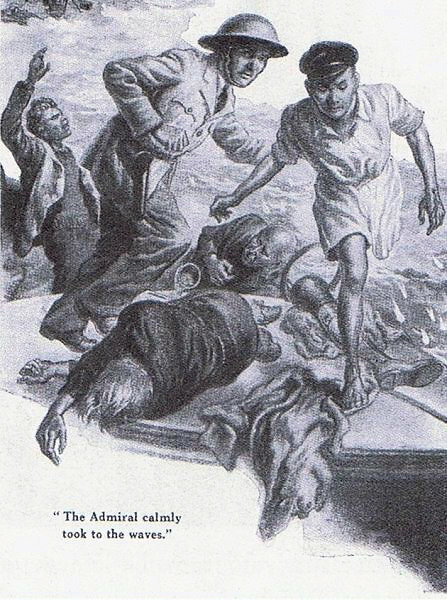 The two severely wounded men were abandoned along with Colonel S K Yee of Admiral Chan Chak's Military Council who claimed he could not swim and drifted all night in the launch. 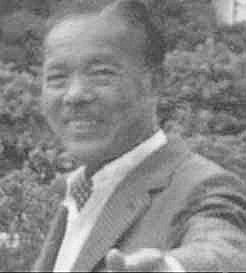 S K bribed a junkman to take the two injured Europeans to a hospital while he took sanctuary in a church before escaping to Free China. Clik here to read more on Alec Damsgaard. Left: The CS Store Nordiske (2) with the CS Pacific astern. Alec had been master of both ships in the Far East. Hsu was very wary about me the “One Foot Adm of 50” swimming such a far distance. 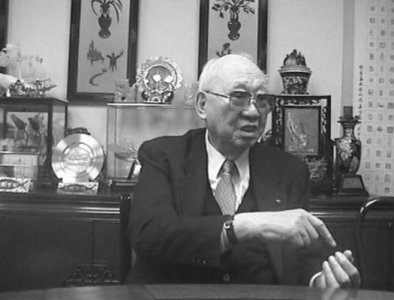 Admiral Chan Chak and Colonel S.K. Yee had led the internal war on the 5th Columnists from the front, killing hundreds personally. Hong Kong had been ordered by the Imperial government in Londondon to extract the Chinese Military Council led by Adm Chan Chak back to Free China at all costs. Colonel SK Yee survived the Cornfower launch machine-gunning unscathed, claiming he could not swim as the reason he stayed on board. After drifting all night he bribed a Junk Master to take the two wounded Europeans to a hospital on Hong Kong Island. Sub-Lt JJ Forster HKRNVR survived the Cornfower launch machine-gunning after he was shot in his stomach and survived the night but is reported to have died of his wounds later. 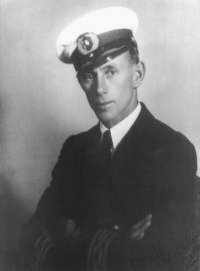 The 2nd Engineer of the S. S. Yatshing, D Harley was shot and drowned. Left: Hsu Heng (Henry) recounting the 1941 Christmas Day machine-gunning of the Cornflower launch in 1941. "The shooting was like rain. If they kept shooting, we would definitely be shot"